About 35,000 years ago, well after the appearance of "anatomically correct" man, a taller, sea-faring, race suddenly "invades" the western shores of Europe and North Africa. This innovative, large-brained invader is dubbed Cro-Magnon. About 17,000 years later the Aurignacian culture is replaced by another smaller "invasion" (circa. 18,000 B.C.) known as the Solutrean, then 16,000 years ago the Magdalenian "invasion" occurs, These "invasions" are all associated with Cro-Magnon Man. Finally the Azilian "invasion" occurs very close to the magic date of 10,000, ending forever the Upper Paleolithic Age. An anthropological fact usually ignored is that there are notable differences in types of paleolithic man. The terms Cro-Magnon and Modern Man are used as if they were synonymous, whereas strictly speaking they are not. All Cro-Magnons are Modern, but all Moderns are not Cro-Magnon. 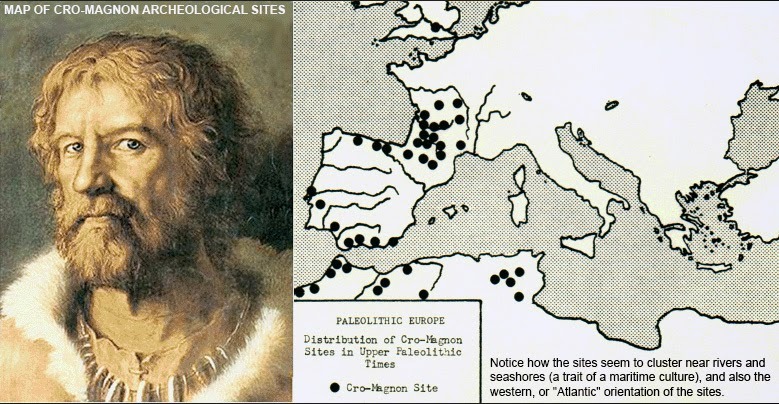 Cro-Magnon's distribution is limited to western portions of Europe and North Africa, as well as a number of Atlantic islands. 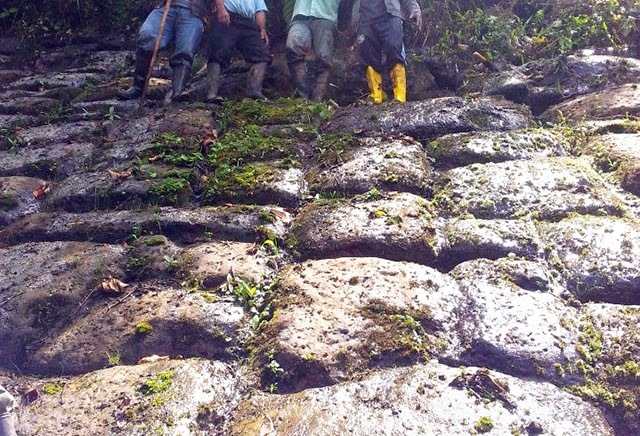 Even some limited portions of South America have a type called Cro-Magnoid (meaning possessing some Cro-Magnon characteristics). 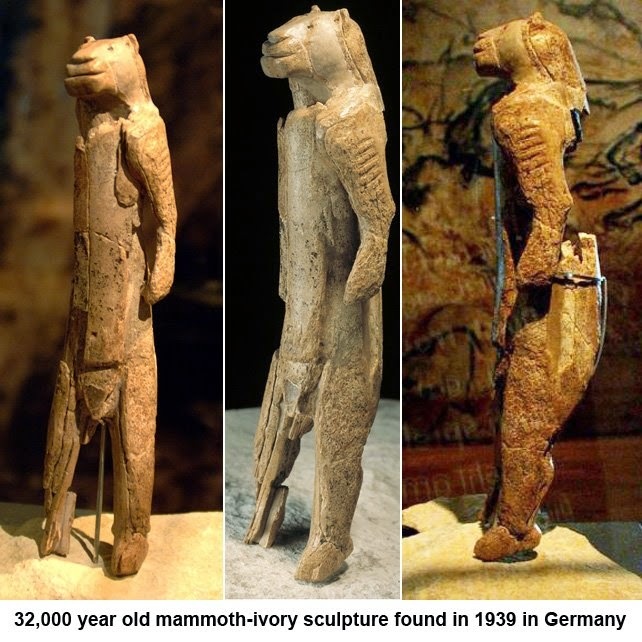 The Upper Paleolithic Age covers the period from circa. 38,000-10,000 B.C. During this period two main physical types of Modern Man flourished throughout Europe, Asia and Africa--the eastern and western. 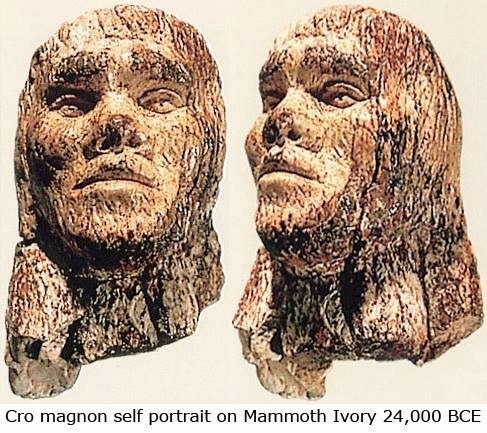 The "western" is known as Cro-Magnon, but the "eastern" are known by various other names, such as Brunn Man, or Combe Capelle (wherever the remains were first found). These eastern types are generally shorter, more gracile, and rather smaller-brained than Cro-Magnon. The latter does not imply any particular degree of intelligence, but is merely stated as a defining characteristic. Average stature of the Combe Capelle Man was about five feet four inches, whereas Cro-Magnon Man averages over 6 foot. The tool assemblage associated with Combe Capelle is known as the Perigordian, and is merely a continuation of the earlier Neanderthal's toolkit (the Mousterian), whereas the various Cro-Magnon tool assemblages are definitely not. The beautiful cave paintings found throughout the Pyrenees and Cantabrian mountains which have become world famous are the work of Cro-Magnon. The art impulse of the "eastern" branch of Upper Paleolithic mankind seems to be characterized by the small, carved female "fertility" images. Cro-Magnon villages consisted of houses (we don't know what they were made of: all we have is the post hole patterns). They had spear throwers, harpoons, bows and arrows, arrow straighteners, obsidian razors, needles, musical instruments, even bone calendars (carved with symbolic notations bordering on writing;). 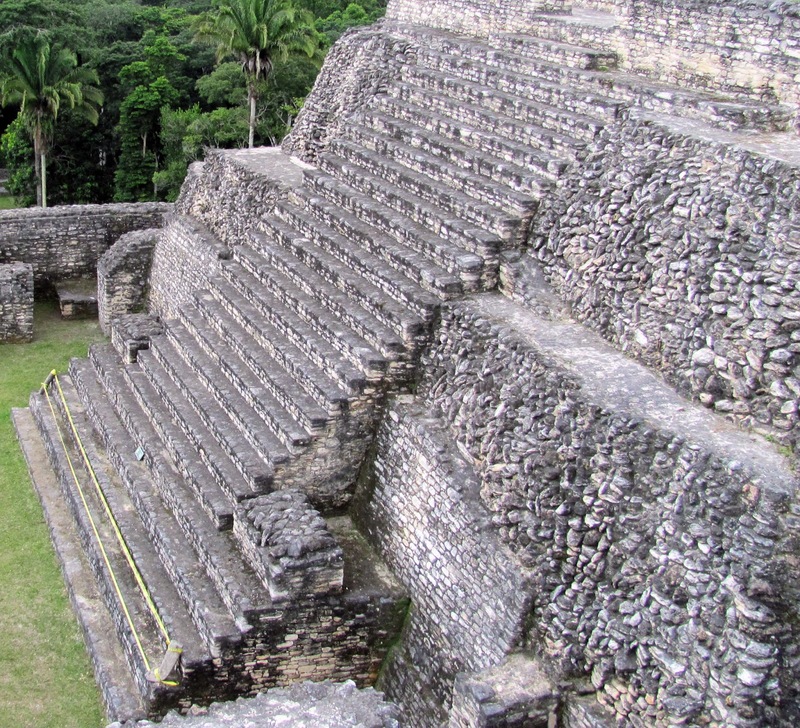 A number of sites dating back as far as 15,000 B.C show evidence of the practice of agriculture. 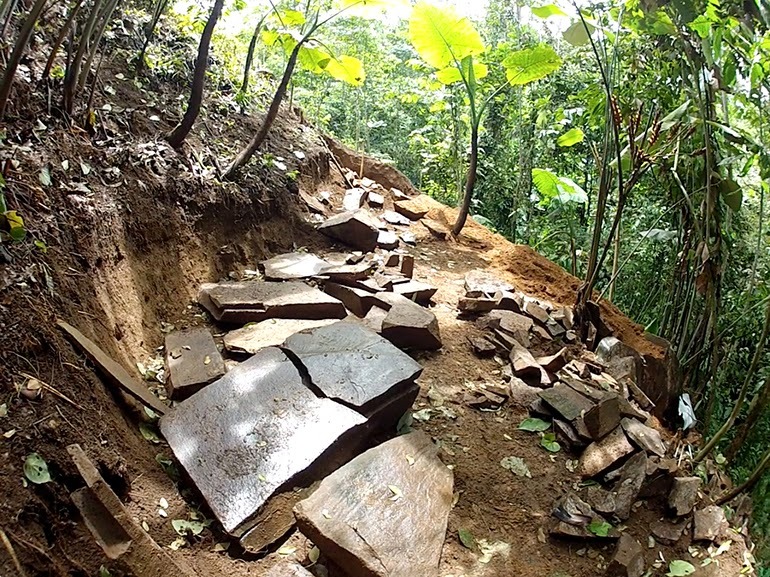 Archeologists, not knowing how to account for such a circumstance, have labeled these activities as "a false dawn". During the Period (15,000-10,000 B.C.) the innovations in technology came so fast that archeologists had to divide it up into Magdalenian I-VI. 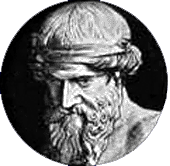 Significantly, the final "invasion," the Azilian, occurred approximately 10,000 B.C., close to the date when Plato says Atlantis sank. Although occurring in time at the beginning of the Mesolithic, the Azilian is Upper Paleolithic in character. All other European tool industries are Mesolithic in character at this time. 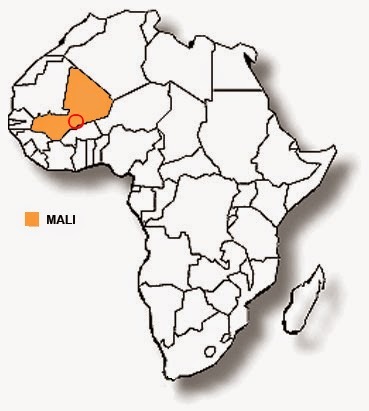 Four Cro-Magnon invasions have been noticed in North Africa during this same time period, although more work involving dating needs to be done there. "The bulk of the datable Aterian appears to be earlier than any European Solutrean. The earliest Aterian is so far undated." In conclusion, we have four Cro-Magnon invasions (each more advanced than the last) happening over a period of just under 25,000 years--the Aurignacian, Solutrean, Magdalenian and Azilian--the last one occurring just when Atlantis was said to have subsided, and since that magic date, no more Cro-Magnon invasions. So were the Cro-Magnon’s Atlanteans? DNA analysis on Native Americans began in the 1980s, but with rapid technological improvements, research intensified greatly in recent times. Although results from early studies showed the expected Siberian-Asia ancestry of the majority of modern Native American tribes, things took an unexpected turn in 1997. At that point it was found that a percentage of modern Native Americans have an unusual type of DNA then known to exist only in a few locations in Europe and the Middle East. Subsequent research indicated that the European DNA was not the result of genetic mixing after Columbus. 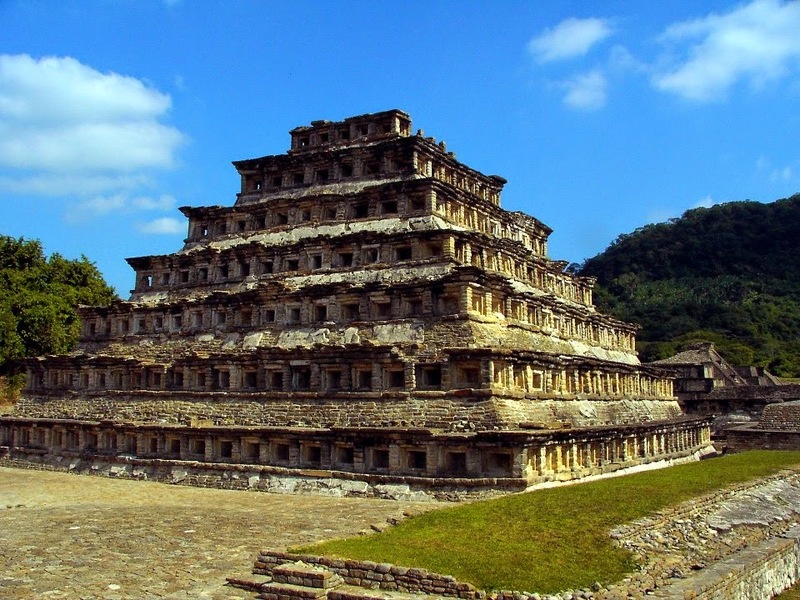 In addition, the same DNA was later found in the bone of an ancient American burial confirming that people carrying this unique DNA had entered America in ancient times. The first research on living Native American tribes showed they were comprised of four distinct mtDNA haplogroups called A, B, C, and D. This means that the Native Americans are derived from four different lineages. Based on the mutations found in the mtDNA, most researchers think that groups A, C, and D entered America from Siberia across Beringia. Group B, they assert, probably came to America from the South Pacific or Japan via boats. It is believed the B groups began this migration not long after the A, C, and D groups arrived. In 1997, a fifth mtDNA haplogroup was identified in Native Americans. This group, called "X," is present in three percent of living Native Americans, Haplogroup X was not then found in Asia, but was found only in Europe and the Middle East, primarily in parts of Spain, Bulgaria, Finland, Italy, and Israel. Archaeologists and geneticists are certain that the presence of "X" in America is not the result of historic intermarriages. It is of ancient origin. 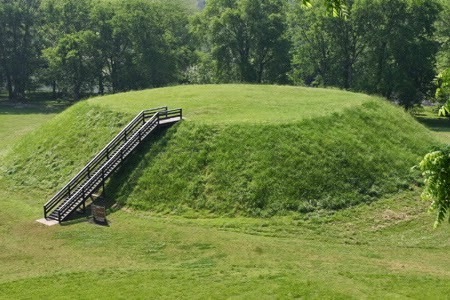 In addition, the "X" type has now been found in the ancient remains of the Basque. Among Native American tribes, the X haplogroup has been found in small numbers in the Yakima, Sioux, and Navaho tribes. It has been found to a larger degree in the Ojibway, Oneota, and Nuu-Chah-Nulth tribes. The X haplogroup has also been discovered in ancient remains in Illinois near Ohio and a few other areas near the Great Lakes. 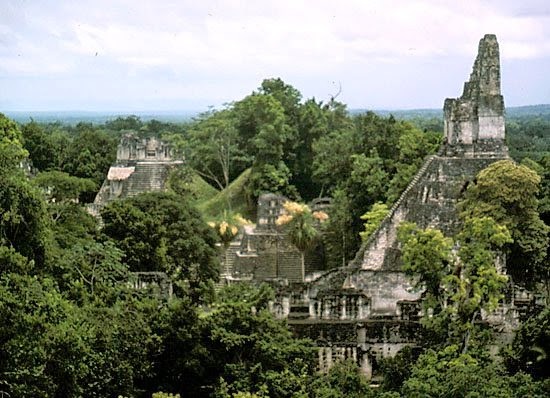 It has not (so far) been found In South or Central American tribes including the (modern) Maya. The X haplogroup appears to have entered America in limited numbers perhaps as long ago as 34,000 B.C. Around 12,000 B.C. to 10,000 B.C. it appeared in much greater numbers. 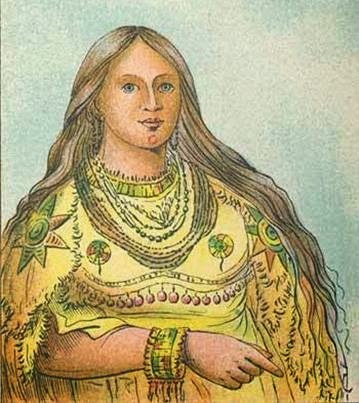 The Americas were settled early and many different racial groups came. Several different waves of migration probably occurred. The Initial wave seems to have occurred around 35,000 BC, around the same time that Cro magnon types show up in Western Europe. The X type in ancient America appears to be linked to the Iroquois. This tribe, of course, was, according to Cayce, partly the remnant of Atlantean survivors from its final destruction in 10,000 B.C. The finding of the X group In the north Gobi-dwelling Altasians is hailed as proof that all American migrations came from Siberia via the Bering Straits, yet it seems unlikely. With the X type being present in the Middle East, Europe, the ancient Basques, and America, a migration from the Gobi to all of these areas is doubtful. 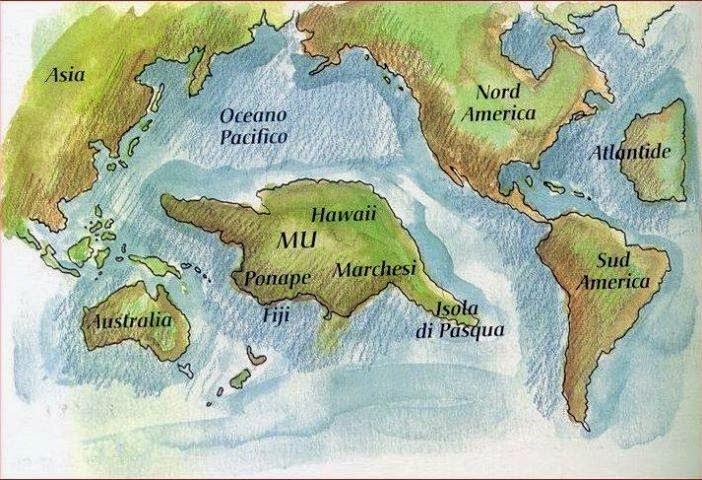 The B haplogroup, found only in aboriginal groups in Southeast Asia, China, Japan, Melanesia, and Polynesia, may represent the people of Mu. 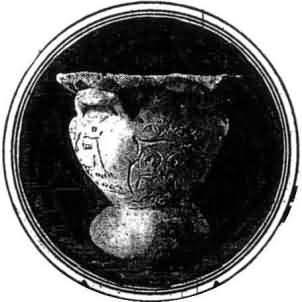 Both Chinese and Japanese archaeologists take the idea of Mu seriously, and the B haplogroup findings closely match the story Cayce told about the continent. Most of the people of Mu who escaped the destruction in 50,000 B.C. escaped to China, India, and Japan. Some time later, descendants of these peoples could have traveled to America. While Cayce said that some people from Mu entered the Americas, he did not indicate the time period when the majority of them came. 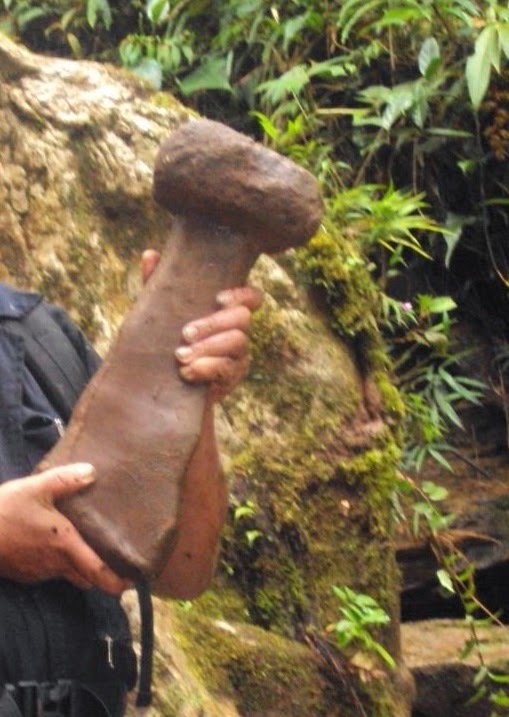 We only know that it was after 50,000 B.C. and prior to 28,000 B.C. Cayce Indicated that the largest migration from Atlantis occurred just before 10,000 BC, many of these Atlantean survivors went to the Northeastern coastal areas of America and Canada becoming the Iroquois. 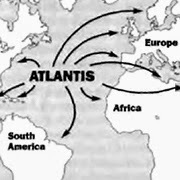 The Atlanteans migrating to the Americas merged with the people already present in America by that time. The Atlanteans became leaders of the tribes and had serious disputes among themselves that were reflected in ongoing violent conflict. This is confirmed by the Iroquois' ancient history that tells of constant battles resulting in distant displacements of entire tribes to ensure their survival. Perhaps the most astonishing confirmation of Cayce's story of ancient America is the presence of haplogroup X. What is known is that the X haplogroup first showed up in America perhaps 34,000 years ago, but its main entry occurred in 10,000 B.C. These dates match Cayce's timeframe for Atlantean migrations as well as the occurrence of X in the specific tribes predicted by his statements. 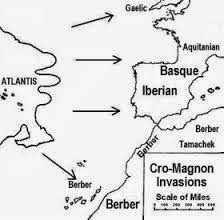 The X group also appears to have shown up in ancient Iberia and in the Basques about the same time as well as in the Gobi. These dates match Cayce's story of the final two destructions of Atlantis and the resulting migrations. If you like puzzling over the meaning of the Nazca lines in southern Peru, crop circles in central England or poring over maps of Area 51, then you'll like this. 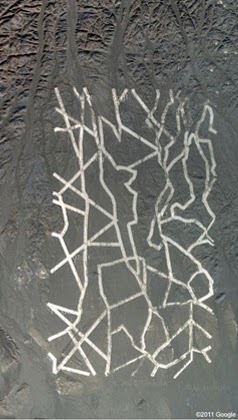 Digital mapping fans have been noticing some unusual forms by using Google Earth in China's vast stretches of barren wastes in the Gobi desert. The bizarre shapes vary widely. Two of them are grids that look like street floor plans without buildings and are around 2 kilometers long by over a kilometer wide. One of the other formations looks tantalizingly like Stonehenge from a great height. Zooming in reveals three aircraft sitting at it's heart. Some Japanese researchers believe it may be used to give China's spacecraft a frame of reference, possibly testing a quantum key distribution system between the spacecraft and satellite. Could a ground-to-space system need some kind of elaborate ground sight? Another theory is its some kind of military target for airstrike or gunnery practice. 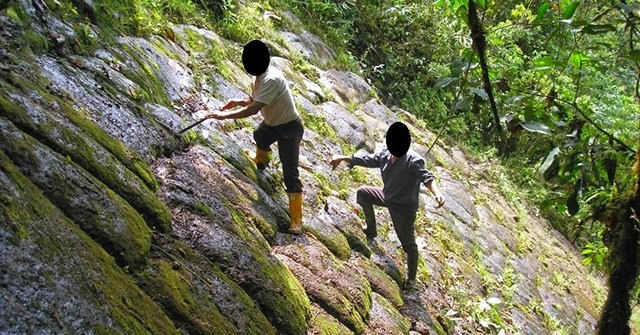 Possibly a target practice range for the People's Liberation Army. 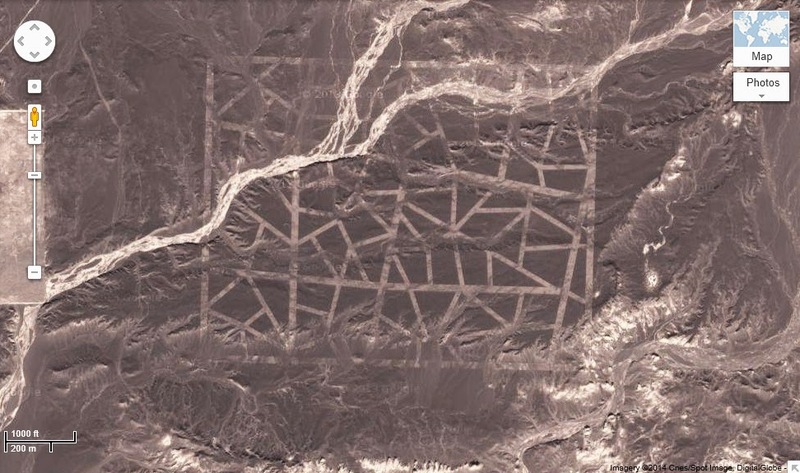 While the majority of these unusual formations and grid-like patterns appear to have been constructed in recent times, there are numerous structures across the Gobi desert which are likely many thousands of years old, including massive pyramids. 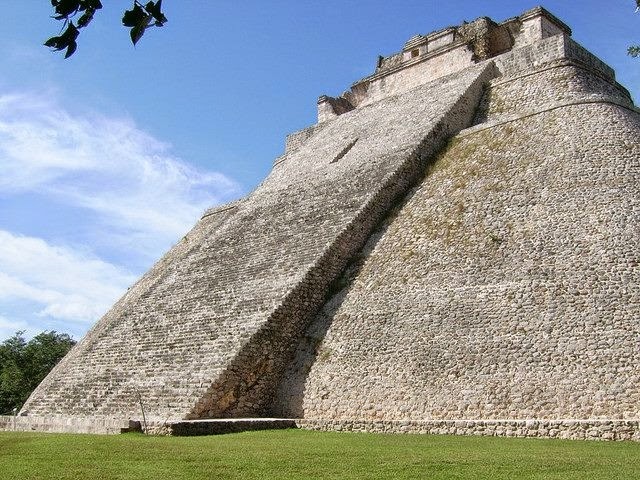 These enormous Chinese pyramids are similar to the pyramids of Giza in size, alignment and orientation. 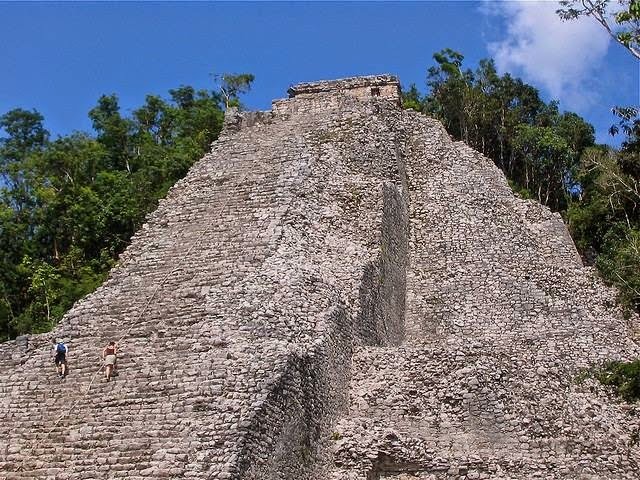 Some people have speculated that some of these structures being discovered are actually the visible surface remains of a lost civilization that retreated underground in ancient times. 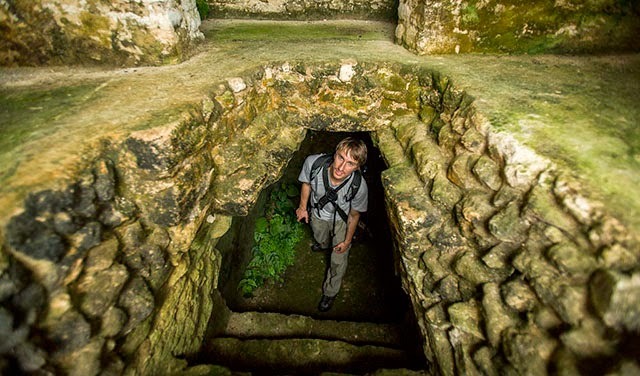 According to Buddhist doctrine, Agharta is a subterranean paradise located deep within the crust of our Earth inhabited by millions of people. Entrances to this underground realm are said to exist in several parts of the world, and China is one of them. Many peoples of various different ethnicities, cultures and religions, have strongly believed in races that inhabit a world within our world. 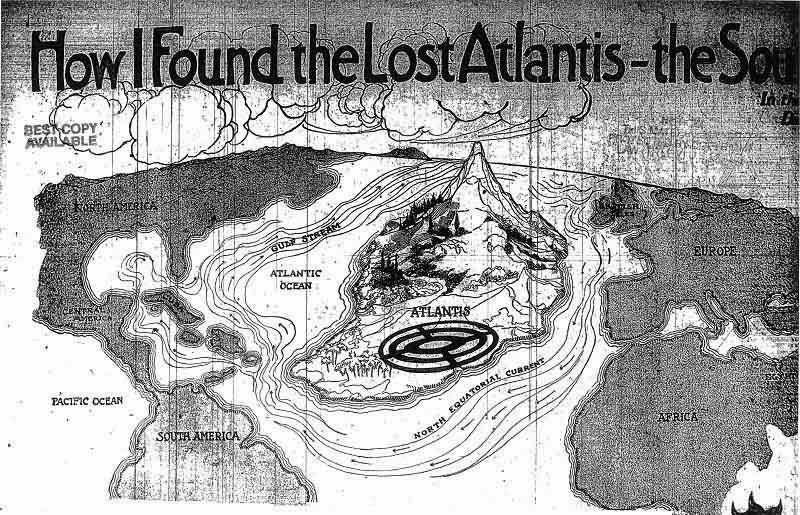 Nazi Germany shared the conclusion that the 'lost' civilization of Atlantis was real, and lives on beneath the Earth's surface, including under Tibet. At first sight, it might seem strange that the architects of the Third Reich would be interested in a region that many consider to be the spiritual center of the world; until, that is, we remember that, according to Thulean mythology, this center was once the Aryan homeland in the Arctic, and was displaced with the fall of Atlantis around 10,800 BC. 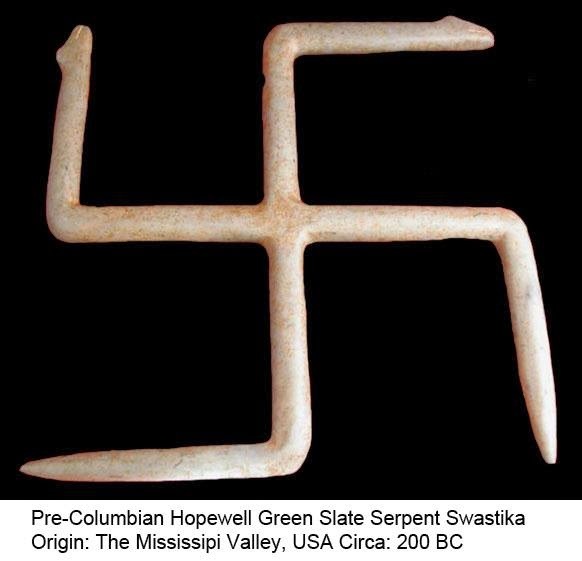 This dismissed theory becomes more interesting since the 1990's with the discovery of hundreds of tall, blond, 4,000 year old mummies adorned in swastikas in the Gobi desert over 40 years after the fall of Nazi Germany. 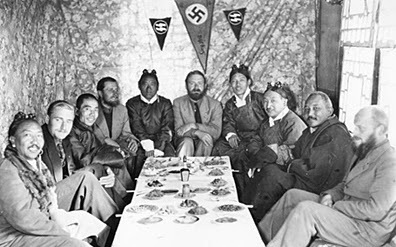 In March 1935 Cayce referred to a city buried under the sands of the Gobi and in 1936 he called this city the "City of Gold." He also stated that this city would probably be discovered in the future. One characteristic of the Gobi civilization was the implementation of a social structure apparently much like the Mississippian Era mound builders had. 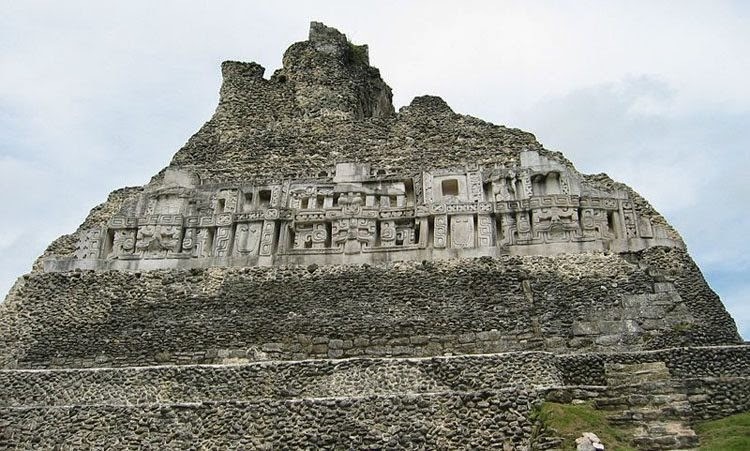 The rulers were held in high esteem and lived in temples. Cayce referred to terraced buildings and temples in the Gobi. A group from the Gobi was identified as having DNA bearing the "X" Haplotype in 2001. This group may be related to the Atlantean Genetic type and the Basques. 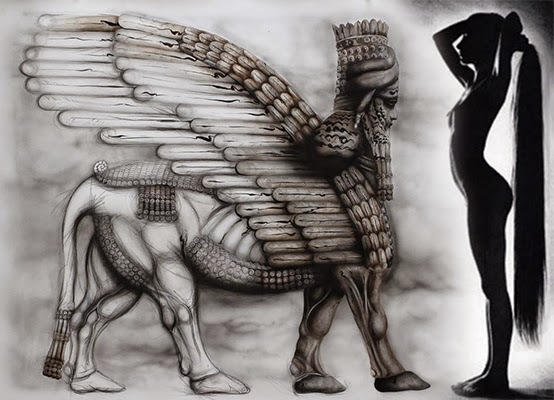 So is the story of Agharta nothing more than fable, or could there be truth behind the legends? Could an inhabited subterranean world really exist? Sirius' companion star has a 50 year elliptical orbit and is not visible to the naked eye. According to some research, modern astronomers did not know the companion star existed until the Dogon myth was discovered. They tell us how the Nommos shared the knowledge of Sirius with them and left behind several artifacts. One artifact depicting the Sirius constellation carbon dates to 400 years ago, a little over 230 years before astronomers suspected the existence of the companion star. The Dogon people were first documented over a several year study performed by anthropologist Marcel Griaule. In his research notes we find conversations between Griaule and a Dogon elder named Ogotemmeli, who speaks of multiple companion stars in the Sirius system. Every 60 years Dogon people celebrate the cycle of Sirius A and B which rises further questions considering Sirius B's 50 year cycle. 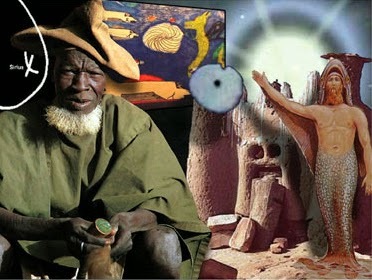 Credo Mutwa, the 94-year-old Zulu shaman or "sanusi" in South Africa, claims that this picture he had painted of tall, blond-haired, blue-eyed beings had been seen by black African tribes people throughout that continent long before the white Europeans arrived. 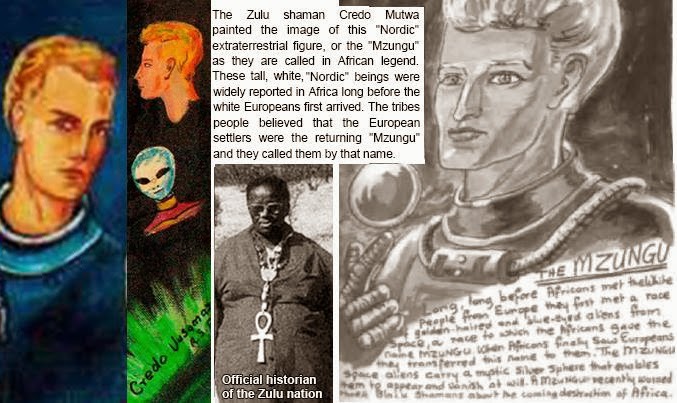 Credo, the official historian of the Zulu nation, said that when the Europeans first came, the black Africans thought they were the return of these same white "gods", which they called the Mzungu (see his paintings below). As a result they called the European settlers by the same name, which is still used today. 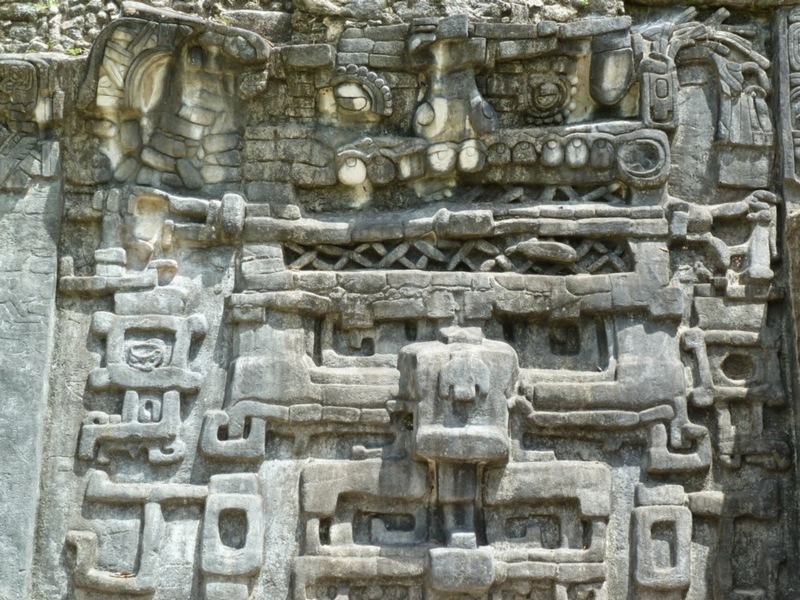 The Feathered Serpent God appears in many ancient cultures and Mesoamerican legends. 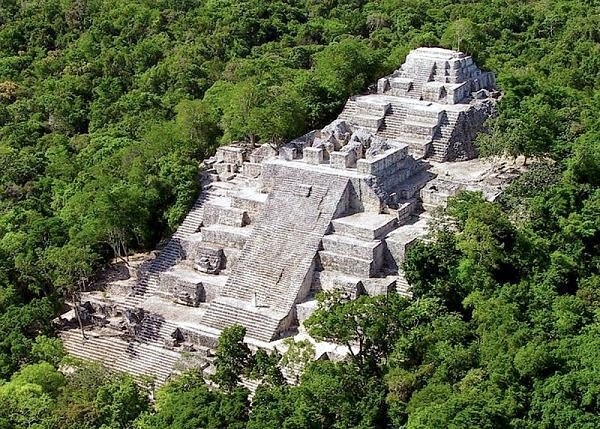 He was called Viracocha by the Incas, Kukulkan by the Mayas, Quetzalcoatl by the Aztecs, Gucumatz in Central America, Votan in Palenque and Zamna in Izamal. He and his ‘men’ were usually described as being bearded with white skin, and deep blue eyes. 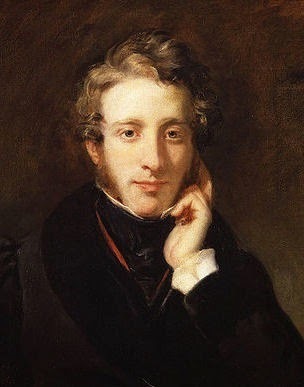 In 1871 Sir Edward Bulwer-Lytton published a novel entitled Vril: The Power Of The Coming Race about a subterranean civilization able to utilise a powerful force or earth energy called 'Vril'. This energy could be used for good or ill, to heal or to destroy (similar to Prana, Chi, Orgone). The novel was a huge success in its time, and is credited with giving rise to the Science Fiction Genre. However, it is rarely read today, Lytton's prose style being incompatible with modern taste. This can be seen from an annual competition, run by a Californian University, known as 'The Bulwer-Lytton Fiction Contest'. The one condition of entry is 'to compose the opening sentence to the worst of all possible novels'. Joke-worthy as the book may be now, its influence at the time cannot be downplayed. And it was Bulwer-Lytton's professed interest in all things occult that led to speculation that this work of fiction was really based on fact, i.e. that Vril is a real force or energy. The Theosophists developed this idea attracting interest from such notables as Sir George Bernard Shaw. Vril became the centre of secret societies devoted to its study, the most remarkable arising in pre second-world-war Germany. 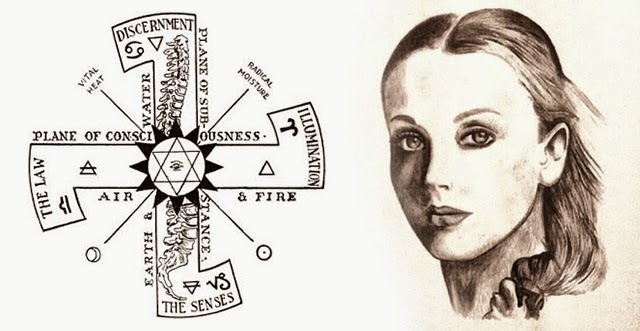 The medium Maria Orsic was leader of the 'Vrilerinnen', the beautiful young ladies of the Vril Gesellschaft. Characteristically they all wore their hair in long horsetails, contrary to the popular short bobbed fashion of their day, claiming their long hair acted as cosmic antennas that helped facilitate their contact with beings from other worlds. 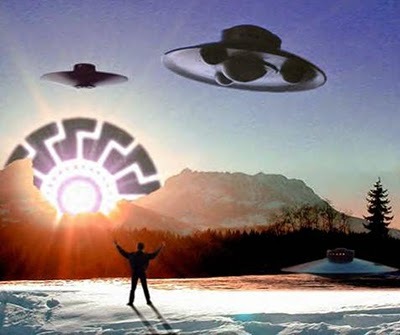 According to the legend of the German Vril society, a fateful meeting was held in 1919 at an old hunting lodge near Berchtesgaden, where Maria Orsic presented to a small group assembled from the Thule, Vril and Black Sun Societies, telepathic messages she claimed to have received from an extraterrestrial civilization existing in the distant Aldebaran solar system, sixty-eight light years away, in the Constellation of Taurus. One set of Maria's channeled transmissions was found to be in a secret German Templar script unknown to her. To alleviate this disparity the Aldebarans reasoned that by offering 'free-energy' technologies, used to create affordable mass transportation devices, a new innovative generation of industries, promoting prosperity and greater peaceful interaction between nations might result; thus diminishing violent wars. Clearly such a plan resonated with members of both the Thule and Vril Societies and their dream for a clean and free technology based on this 'alternative science' harnessing Vril energy. The solar system Aldebaran has a sun around which revolve two inhabited planets that form the empire SUMERAN. The population of the Aldebaran system is divided into the original "pure" race of people (Aryans) and several other human races that had devolved by genetic mutation from the parent population because of climatic changes brought about by nuclear war upon the planets. Despite their physical and cultural differences, all the races respected one another and did not interfere with each other, neither the so-called genetically "pure" people nor the mutated hybrid races. Each respected that the others just made their own developments [in contrast to what happens on Earth]. 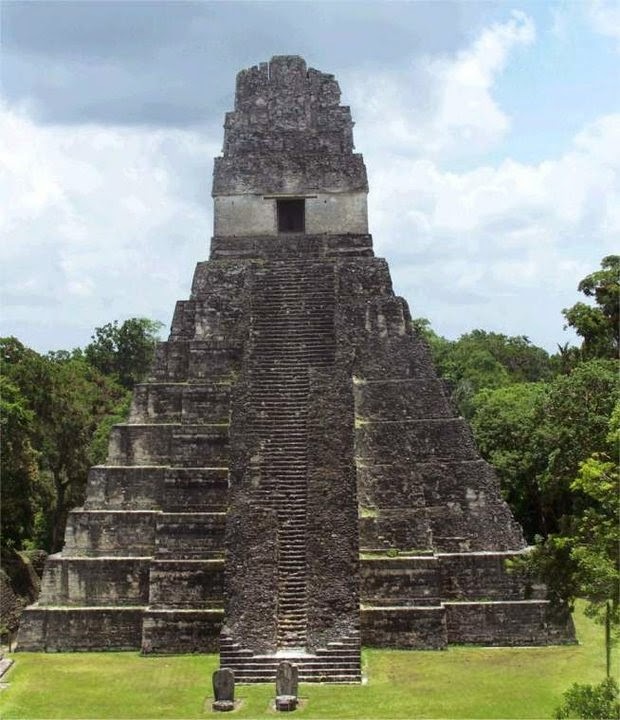 The mediums were said to have had also received precise information about the civilizations on the inhabited planets situated around the sun Aldebaran and a 'one way' trip was scheduled to depart towards the Pleiades to re-unite. 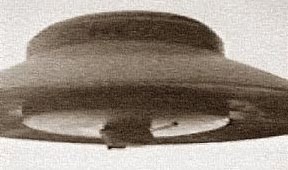 In early 1943, the Nazis embarked on the design of a cigar-shaped spaceship that was to be built in the workshops of Zeppelin. It was the ''Andromeda'' Apparatus and was designed to transport several spacecraft in a plate form for interstellar flights. 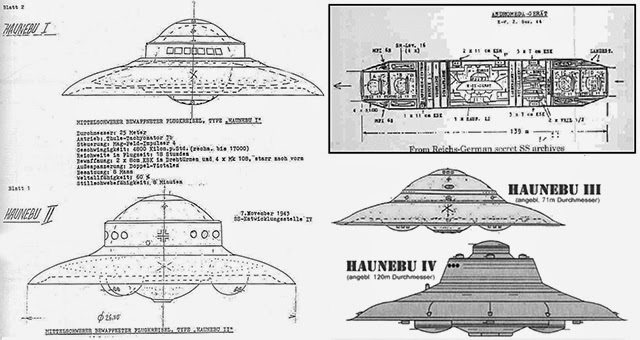 When they occupied Germany, in early 1945, the British and the Americans discovered, among other things, the secret files of the SS, photos Haunebu II and the Vril 1 as well as the Andromeda. In March 1946, President Truman gave the orders to collect the Nazi material and to classify the technology as Top Secret. German scientists working undercover, were given false papers and sent to the U.S. as part of the framework of "Operation Paperclip". 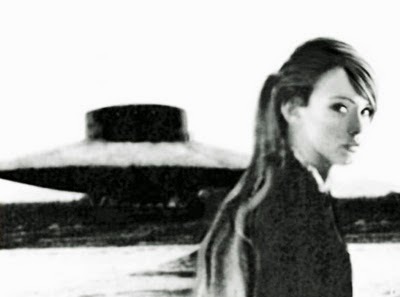 Meanwhile Maria Orsitsch and the Vril Circle mysteriously disappeared, never to be heard from again, fueling speculation among some writers that Maria may have in fact escaped, as she claimed, to Aldebaran. 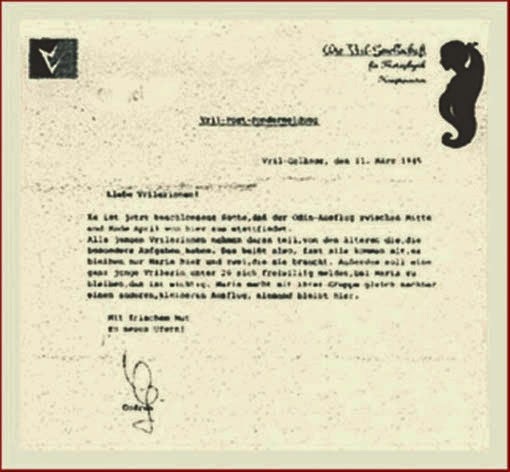 A recently published "Letter of Departure" to the Young Vrilerinnen (jungen Vrilerinnen), dated March 11, 1945, mentions the "Odin Departure" (Odin-Ausflug). It refers to a temporary evacuation location with Maria, and the final departure to Aldebaran. The letter ends: “niemand bleibt hier” (no one is staying here) and is signed "With Cheerful Courage" (Mit frischem Mut) by Godrun. Particularly in Germany, where there is freedom of the press and they declare that they only teach the truth. Surely it is reasonable to discuss the real truth now, after 70 years, openly without being arrested or publically labeled a "racist". What's more, in 1946 the Rockefeller foundation paid $139,000 USD for the exclusive rights to the official 'public version' report of the History of the Second World War, which concealed all the help provided by American bankers in financing and arming the Nazi war machine. They also made sure to keep from the public the truth behind Admiral Byrd's mission to Antarctica immediately following WW2, a secret that has lasted as long as the cover-up concerning the events at Roswell. 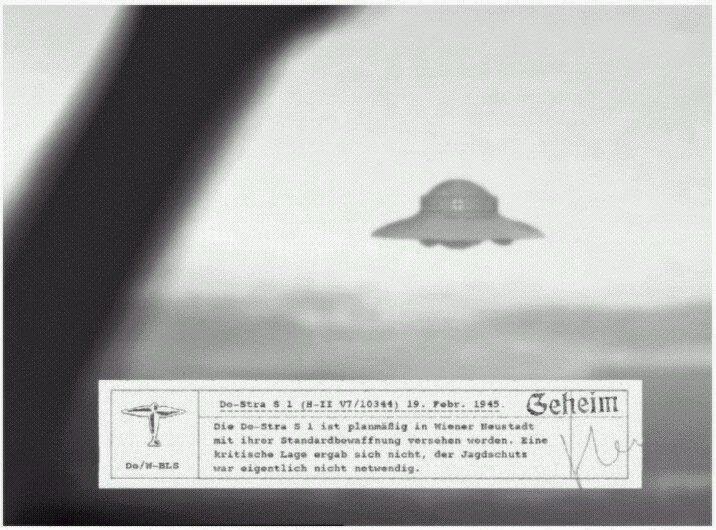 It was also silent about the mystical and occult ideology behind the Nazi regime, including the Vril inspired free-energy technology, which was rumored to have been later perfected at the infamous Area 51, near the site of the Roswell incident. The major donor was the Rockefeller's Standard Oil.